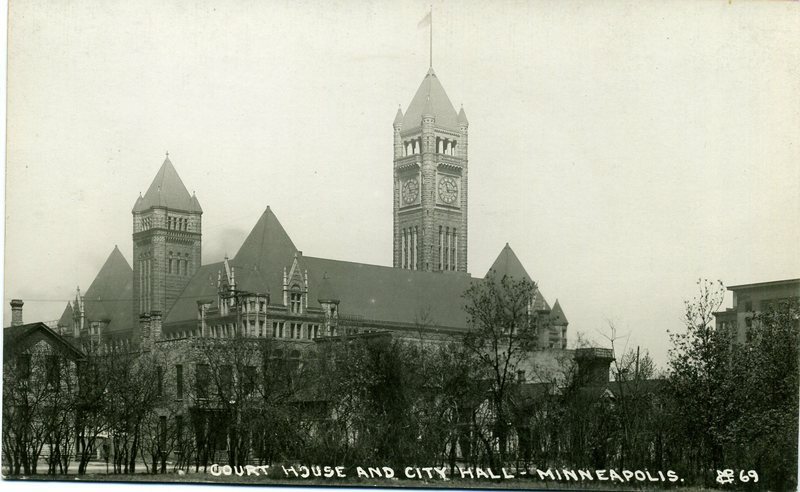 Minneapolis City Hall was built to serve as the governmental offices for both the city of Minneapolis and Hennepin County and is overseen by the Municipal Building Commission. 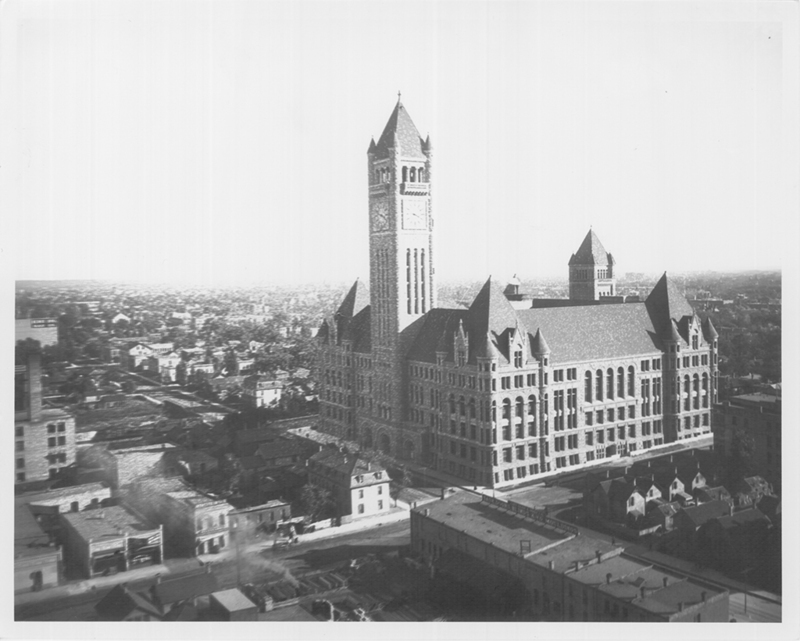 An earlier City Hall was razed to create Gateway Park and groundbreaking began in 1889. Architects Long and Kees were in full swing of a highly successful partnership and built the Richardsonian Romanesque styled building out of rose granite quarried in Ortonville, MN. The granite was originally to be used only for the foundation, but public reception was so positive that the entire building was finished with the material, with some stones weighing greater than 20 tons. The building was finally completed in 1906. The building’s original red terra cotta roof was replaced in the 1950’s after the tiles began falling to the street below. An 180,000 copper replacement was installed over the original and has since acquired its distinct green patina. In addition to then having the largest roof in the nation, its four-faced chiming clock was 18 inches wider than Big Ben’s famous Great Clock in London, making it the largest in the world. It remained the tallest building in the city until being surpassed by the Foshay Tower in 1929. At the center of the building’s five-story rotunda lies “Father of Waters”, a sculpture by Larkin G. Mead quarried from what was then the world’s largest block of marble. The same Italian quarry supplied marble to Leonardo da Vinci and Michelangelo, and good luck is said to come to whoever rubs the sculpture’s big toe. The building underwent a massive renovation in 2001 in an attempt to restore it to its original grandeur. This included replacing 72,000 pieces of glass and cleaning the Italian Carrera marble floors inside the rotunda and extensively renovating the interior of the council chambers. 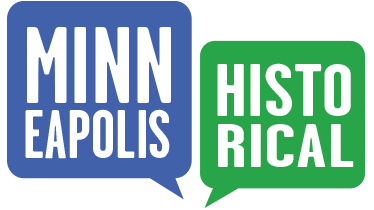 Preserve Minneapolis, “City Hall,” Minneapolis Historical, accessed April 20, 2019, http://minneapolishistorical.org/items/show/102.